Sometimes you need one button for the job, and sometimes you need many. 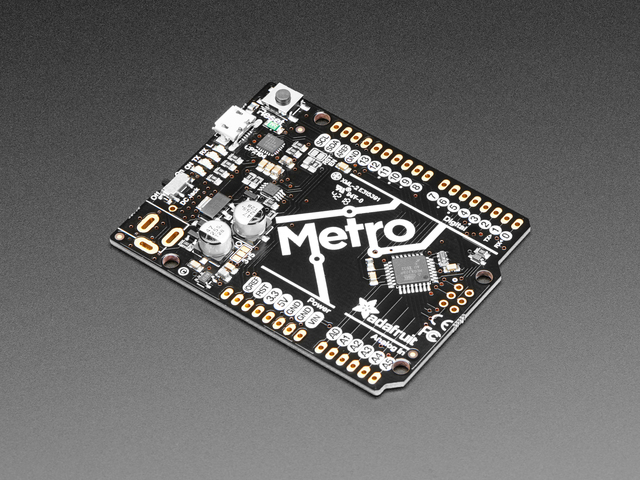 This project is a fully enclosed 3D-printed Bluetooth controller, powered by a METRO 328 and LiPoly battery, mapped to use with Livestream Studio. Using the serial input on the Bluefruit EZ-Key and some MCP23017 i2c expanders, there's a whole load of buttons. Arcade buttons. Pushbuttons. Buttons and buttons and buttons! Livestream Studio is a powerful, streamlined video streaming software designed for use with PCs and Livestream's own switcher boxes. While incredibly robust, there isn't MIDI support for using just any controller you'd like. Using the hotkey portion of the software, this bypasses the need to use a regular keyboard to get at specific functions. But what if I don't use Livestream Studio? Map it to whatever you'd like! The code is pretty heavily documented, so feel free to modify it to your needs. Soldering iron of some sort. I use an Aoyue, but any good ones will work. Needle nose pliers. My favorites are on my Leatherman II multitool. Flush cutters. Always and forever. Third hand tool. 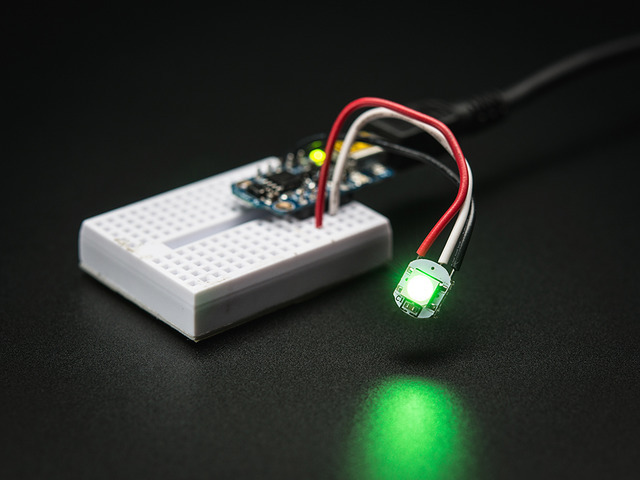 The $6 one from Adafruit will do the job, the super fancy one will do the job even better. Optional: Blu-Tack for soldering the NeoPixel mini PCBs. Amazon. 3D Printer. If you don't have one, you can always source the parts out to Shapeways, or a similar service. Ever upward, never fearing. 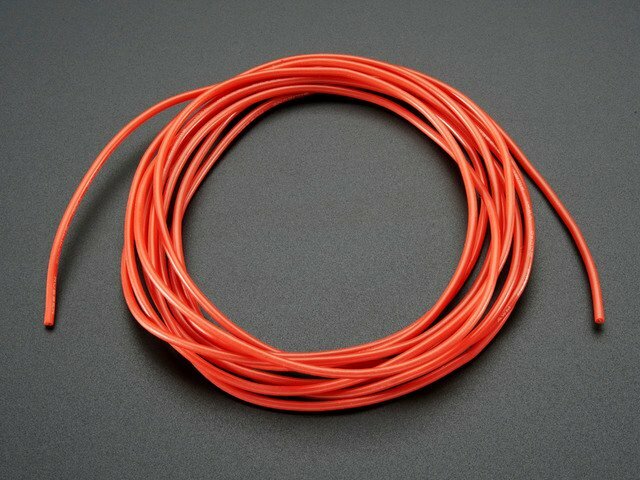 Silicone cover wire. I'm reiterating this here from the side, because it's not optional. Without silicone cover wire, the arcade button hack won't work. Trust me. You can use regular hookup wire for the rest of the project, but honestly, the silicone stuff is incredible. 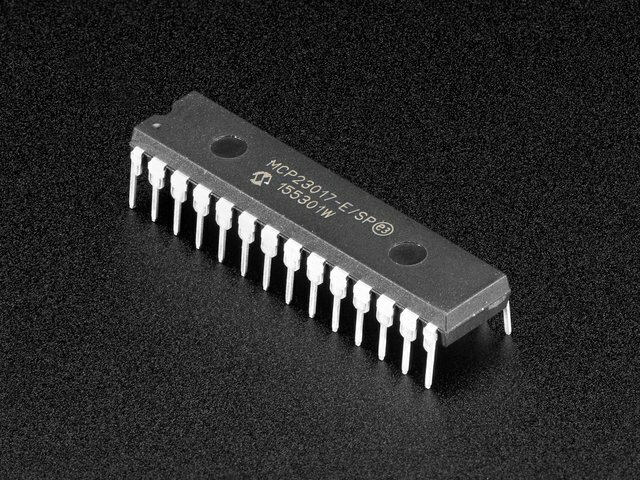 If you've never used it, and especially if you do high temperature RoHS soldering (380* C), you will love it. If you ever have to do a lot of cable wrangling, you'll love it. This project switched me over entirely. 2x M2 6mm machine screws. 8x M3 8mm (or more, doesn't really matter) flat screws. A drill of some sort. A roughly 1/8" drillbit, or M3 to be specific. This is a Bluetooth Raw HID and ASCII input project, not MIDI. The casing for this project was 3D printed, and because of its size, you'll want to make sure your bed level is tightly calibrated. It was designed to work within the parameters of a Makerbot Replicator 2, but any 3D printer that has the right build volume will absolutely work. This is a very large project, and quite a bit of work. None of the steps are difficult for soldering, or require wave ovens or sensitive scopes. But it is a not insubstantial amount of effort, so bear that in mind. 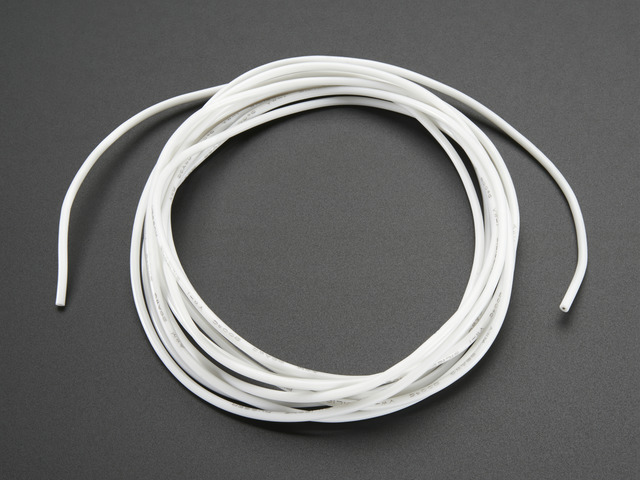 You Must Use Silicone Cover Wire For This Part Of The Project. Must. This idea by Noe and Pedro is fantastic, they explain the procedure in their tutorial below. The V2 connector for the current NeoPixel Mini PCB pack didn't fit mine once the leads were soldered, so I made an adjustment to their design. The V3 is below, and will fit in the caps with no problems. Affix all of the bottom portions of the arcade buttons into the top panel, once you've removed the button and plunger. For soldering to the NeoPixel PCBs, I used a bit of Blutack. It does get tackier when hot, so make sure you don't overheat the pads, or you'll have to use some Blutack to remove residue. But this is a huge time saver, instead of awkwardly using a third hand, or the overkill of a Panavise. Applying a bit of solder to the pads make them much easier to solder wires to. When feeding in the LEDs, start with the 6th LED in the bottom row, and then take your time feeing counter clockwise. It takes a bit of wrangling. Once all the LEDs are in and fed through, put in the top caps. The wiring for this project isn't particularly complicated, but it is repetitive. It's important to strike a balance between using enough wire, but not too much wire. It starts to add up, and get in the way when you're trying to close the project. Above is the schematic for the MCP23017 i2c 16 input/output port expander. It's the heart of this project, since two pins on an Arduino (or, in my case a Metro 328) into 48 pins. Always test your circuits before soldering. Always. 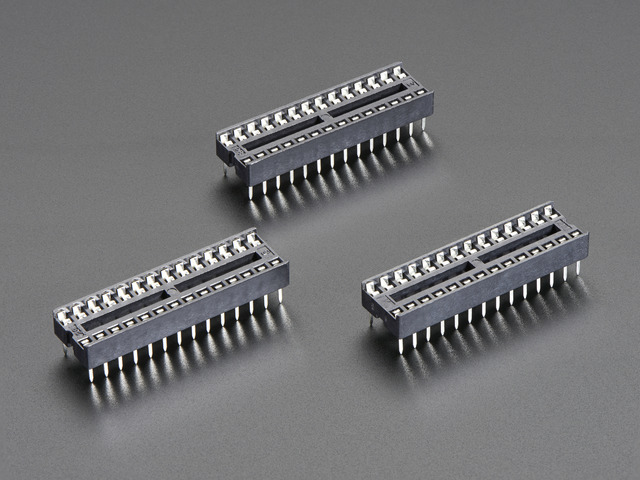 We'll be using three of the MCP23017, so to start, we need to identify them amongst themselves on the i2c address bus. Connect pin 9 to 5V. Connect pin 18 to 5V, via a 10k Ohm resistor. Connect Ground to ground rail. Connect Vin to 5v rail. Connect 5V to 5v rail. Connect a 1000uf 6.3V (or higher) capacitor across the + and - terminals on the Ground and 5V rails of the first protoboard, immediately next to the wires coming in from the Metro 328. Connect pin 6 to free column on protoboard. Connect 300-500 Ohm resistor to free column. Connect free hole on other side of 500 Ohm resistor to Din on first NeoPixel PCB. Connect 5V rail to 5V on first NeoPixel PCB. Connect Ground rail to GND on first NeoPixel PCB. You then connect every button to the correct GPA (or GPB) pin in sequence, with the other lead connected to ground. 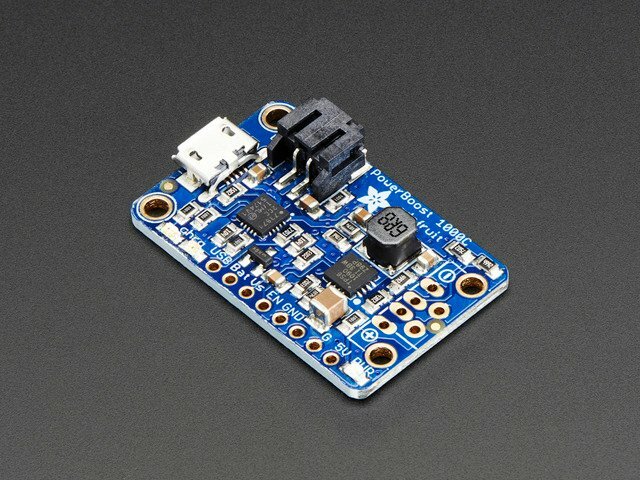 When the button is pressed and the GPA (or GPB) of each MCP connects to ground, that input is translated on the Arduino into a serial command. Connect GND to one of the outside pins on the slide switch. Connect EN to the inside pin on the slide switch. Even though you see the battery attached here, do not attach the LiPo battery until the very end of assembly. Never, ever, ever solder a circuit with the battery attached. I repeat, do not solder the circuit with the LiPo battery attached. Plug it in at final case assembly. Connect all of the I/O Ground pins to each other as a daisy chain. 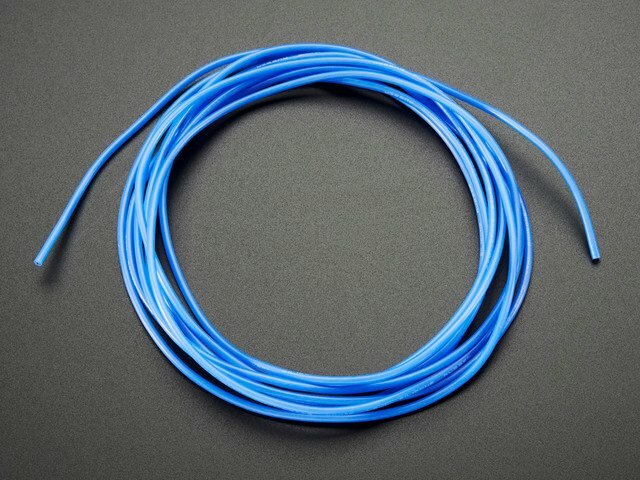 It's a much cleaner way to wire. You can also connect these to the arcade buttons. Then connect the final one to the Ground rail. Connect each of the other I/O pins to their respective GPA/GPB pins on the MCP23017. See diagram above. Connect the LED Ground (-) to a 150 Ohm resistor, then this resistor to the Bakelite Ground rail. Connect the LED Positive (+) to the Bakelite 5V rail. To limit the amount of wiring mess in this project, I cut a length of Bakelite to secure to the top of the case by printed 6mm standoffs. When cutting Bakelite, use scissors, and cut through holes you won't need. It's very crumbly and unpredictable to cut, but also cuts with little force, so take your time and give yourself margin. I then drilled two holes for the 6mm screws to secure to the standoffs. Do not glue the standoffs to the top of the case until you're finished soldering. Solder a wire from the common Ground and 5V rails on the protoboards, and then connect each individual Ground wire and 5V wire from the pushbuttons to the Bakelite rail. A note about soldering to Bakelite: it isn't easy. The pads aren't very robust, so be deliberate with your iron placement, and patient if the solder doesn't immediately leach. Now that you've finished, glue the 6mm standoffs (already screwed to the Bakelite rail) to the top of the case, inbetween the arcade buttons and pushbuttons. My special thanks on this project go to an innumerable number of internet forums I had to research, and my 3D printer, that tolerated an unbelievable number of test prints. Also, to Alex of RasPi.TV, for an excellent breakdown of the i2c pattern for the MCP23017 chips. This guide was first published on Nov 29, 2015. It was last updated on Nov 29, 2015.